When we were engaged and planning our wedding I had a handful of people tell me not to give out wedding favors. I was told they would be thrown away or left on the tables and that guests simply hate them. I knew I wanted to do something special but did not want to come up with something that would get left behind at the end of the evening. Since food is my career and my passion I knew it had to be food related. 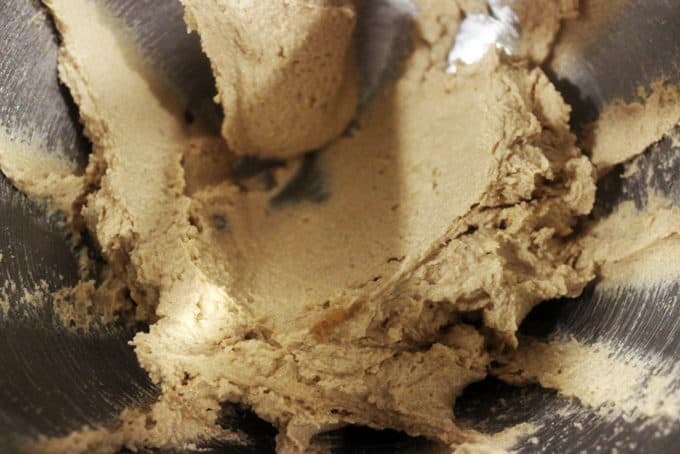 While discussing it with my fiancee that night over a batch of these cookies we both had a near simultaneous light bulb moment and just minutes later we were combing through recipes. They ended up being one half of our wedding favors along with my favorite cookie ever, the Oreo Chunk Cookie from Wisey’s Deli. We baked one Oreo and one strawberry cookie per guest, in a much larger size (each cookie was 1/4 cup of cookie dough!) and put them in a clear self seal pouch with a sticker on the front with our wedding details. On the back of the packaging we had a link to a website that had the recipes to these cookies so guests could re-create them. Even over a year after the wedding I still had people asking me for the recipe or telling me they kept the packaging so they could get to the recipes! Full of freeze dried strawberries and white chocolate, they are chewy and rich despite the source (Cooking Light) and you don’t feel guilty after having one…or two…okay fine, 3. Anything after 3 you can feel a little guilty about. When we were sourcing the ingredients for the cookies we had a difficult time finding these strawberries. It was only five years ago, but at the time freeze dried fruit had not become the toddler treat of choice yet. We ended up special ordering them on Amazon. 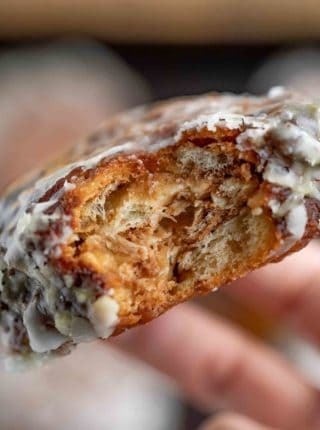 These days you can find these in almost any store, making them an absolute breeze to bake. You can also substitute any other freeze dried fruit flavor you may already have at home. I would recommend keeping the white chocolate in this recipe since a milk or semi-sweet chocolate would probably overwhelm the flavor of the freeze dried fruit. Preheat oven to 350°. Combine flour, oats, baking soda, and salt; stir with a whisk. 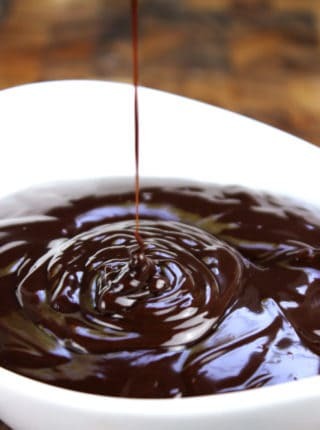 Place sugar and butter in the bowl of a stand mixer; beat at medium speed until the mixture is lighter in color, about 3 minutes. Add vanilla and egg; mix until well combined. 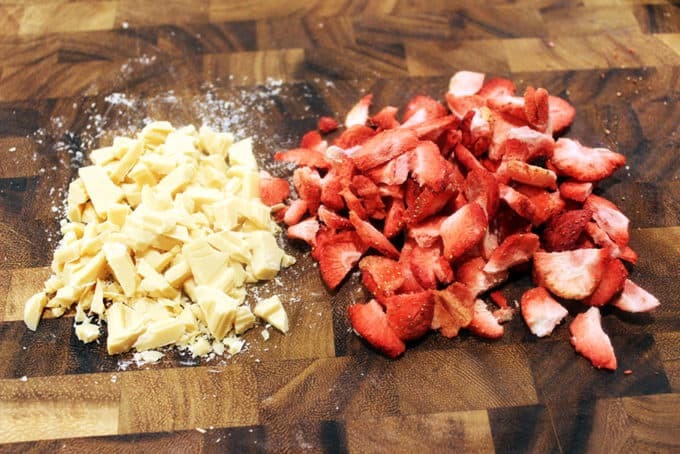 Add flour mix until just combined, then fold in strawberries and white chocolate. Using a 2 tablespoons measure, put the cookies at least two inches apart. Cook for 11-13 minutes. 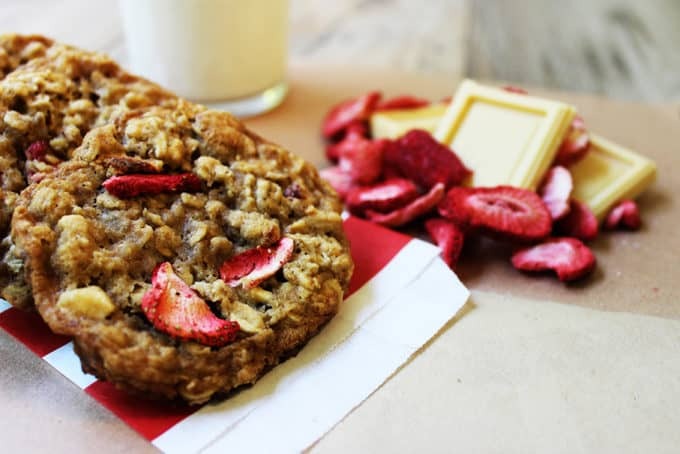 Strawberries, White Chocolate and Oats make for a delicious cookie that is low in calories and fat! With only 1/4 cup of butter, these cookies are still chewy and rich despite being a light recipe! Combine flour, oats, baking soda, and salt; stir with a whisk. Add vanilla and egg; mix until well combined. Fold in strawberries and white chocolate. Using a 2 tablespoons measure, put the cookies at least two inches apart. Ohhh yummy to my tummy, can’t wait to back a batch of these babies for my next ladies get together. How long did you bake the 1/4 cup cookies? I love a jumbo cookie, such a crowd pleaser! 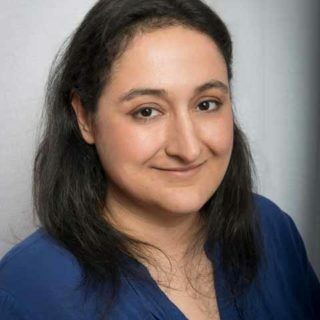 I am so glad you’re enjoying the site! You’ll want to bake the cookies until golden brown, 15 to 18 minutes, rotating sheets front to back and from top to bottom of oven halfway through to ensure they’re evenly baked. I’ve been craving oatmeal cookies lately and these might be made this weekend! Look great! Not only are they awesome and taste rich and buttery….but they are WAY healthier than my other cookie recipes, haha. Sorry to throw you guys under the bus Oreo and Chocolate Chip! I’ve never tried strawberries with white chocolate. It sounds amazing! I have been loving all of these cookie recipes. This one looks especially tasty. These look wonderful! 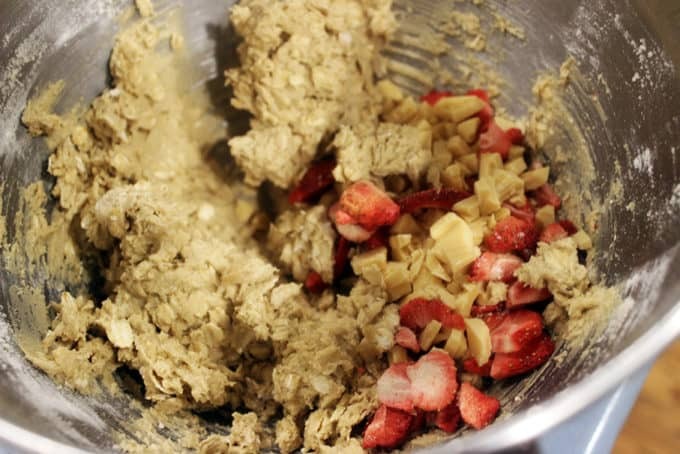 I’ve never had cookies with strawberries in them, thanks for the recipe! Anytime, I hope you get to try them, the flavors are awesome! I think that making these cookies as wedding favors was a great idea. I bet everyone loved them. Thank you for sharing at the #AnythingGoes Link Party. Not a single one left behind! Me too! I need one of me to cook for me sometime! Oh these look so good! I am going to whip some up for a party I have this weekend. I get hungry every time I come here. Adding strawberries sounds like a great idea. Glad my blog has that effect on you! Those sounds delicious and would be a great substitute for store bought granola bars! Wow these cookies look and sound so amazing! 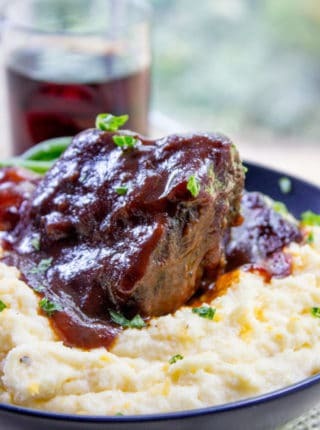 I’m going to try this recipe at home! Wonderful, hope you love them! I think I could eat a few of these in no time, too. What a wonderful wedding gift to give your guests. Thank you! They loved them, it was really wonderful. I am a fan of oatmeal cookies. These are beyond what I am used to and sound good! These look amazing. The big strawberry pieces make it look so good. I can’t wait to give them a try! Thank you! I love how big the strawberry pieces are too! Those cookies look yummy. I’m allergic to strawberries, is there another fruit I could substitute for it? 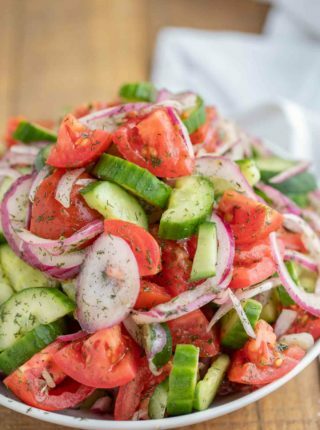 Looks good and simple to make. White chocolate and strawberry is such a perfect combo! 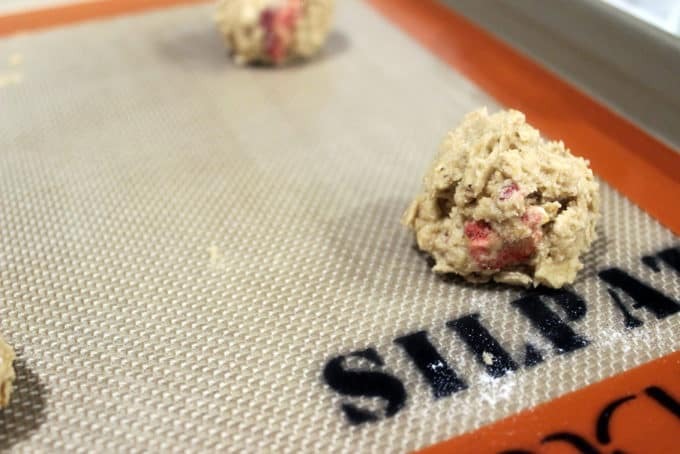 I love freeze dried strawberries…and cookies! These look so good and chewy! Yum – look forward to trying these! They are! Chewy and the strawberries add an amazing flavor! 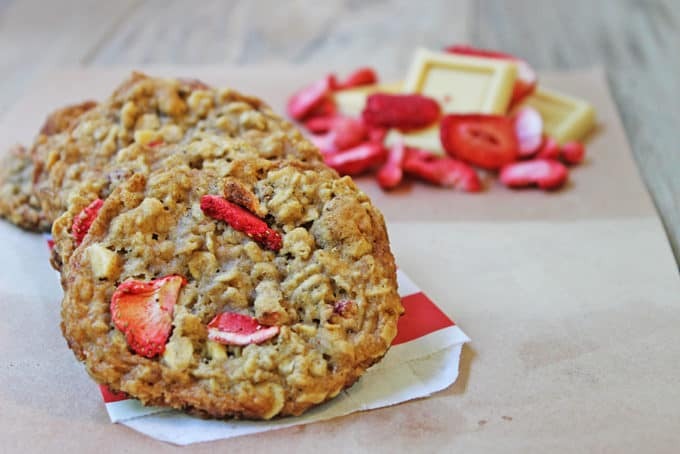 I always enjoy a good oatmeal cookie and have added a few different items to mine over the years, but never dried strawberries or white chocolate chips. This sounds ideal for summer! Yes! A perfect summer cookie! Oh that looks great. Love the addition of strawberries. Wow these look incredible! I’ve never tried anything like these before but they look just beyond amazing! This sounds like the most delicious combo for cookies. I wish I had the ingredients so I could make some right away! The good thing is now that freeze dried fruits are so popular you can get them easily! Very hearty looking. Fun way to add in fruits to cookies, they come out looking good. Thanks! I love adding fruit into recipes! These look really good. What a unique idea for a wedding favor, too. Thanks for bringing these cookies by! They are so buttery tasting, that I am just shocked there is barely any butter in this recipe. You are such a crafty little devil. Yes! That is what I love about them! ALMOST healthy! What a lovely idea for wedding favors! I certainly wouldn’t leave those cookies on the table. I’ve used fresh and frozen strawberries, but since my toddlers are now teens, when I think of freeze dried strawberries I think of Special K cereal! Must find some for myself. As a kid I would always pick the strawberries with my parents! It was so much fun! Those look so yummy! White chocolate is my favorite, and you can’t beat anything with strawberries. I’m SO making these! Oh, I just picked strawberries yesterday! Need to make these! I love picking strawberries! So much fun! These look so yummy. 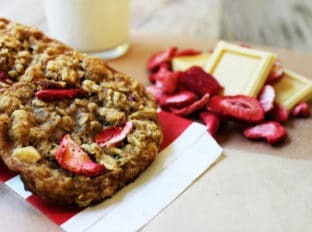 I love oatmeal cookies and adding strawberries and white chocolate will make them even better. Thanks! These cookies are one of our favorites! These are wedding favours I could dig! They sound so scrumptious, and white chocolate is great with fruit! I know, right? Not a single one was left behind! Those would be gone in about 15 seconds flat in my house. They sound awesome.